Hawaiian Heritage Press, 9781943476480, 124pp. With this reissue of the original stories in a single volume, a new generation of children can enjoy Alice and Alistair's adventures on Hawaii's Hamakua Coast. 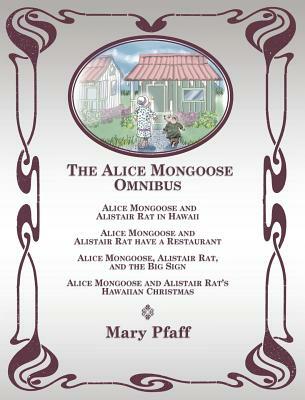 Follow Alice Mongoose as she travels across the ocean, befriends the gentle and dapper Alistair Rat, starts a new business, and learns valuable lessons about life and friendship in her new Hawaiian home.